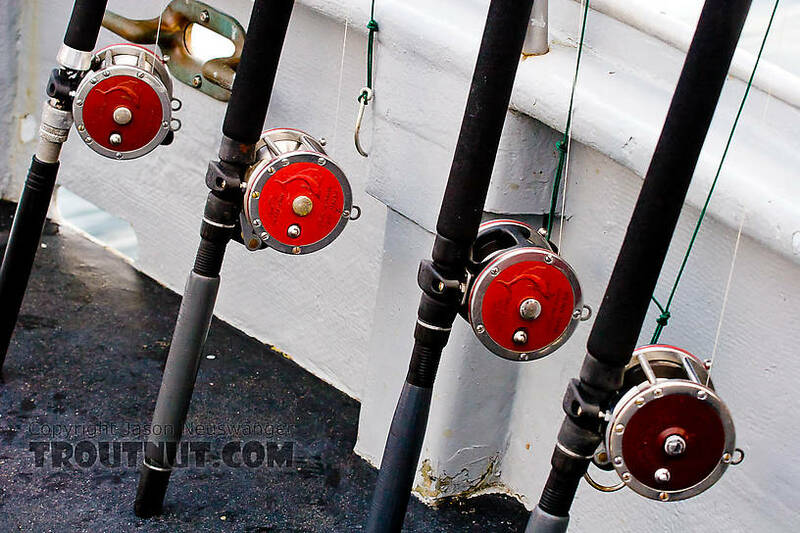 After fishing the Kenai I headed down to Homer and went on a half-day halibut fishing trip with North Country Charters. It was my first time out on the ocean. One of the most memorable parts was catching a two-foot-long spiny dogfish shark. In my head, the reaction was, "Wow! I just caught a shark!" I thought some pictures were in order, at least. But the captain immediately unhooked it and unceremoniously tossed it back into Cook Inlet. I soon learned that dogfish are very common and are considered a nuisance or trash fish by halibut anglers and charters, which is why the captain treated it like a creek chub he'd just removed from a trout fly. They could be a little more alert to the fact that some of their customers might find catching any shark to be pretty exciting. Still, I had a great time with them and have gone out again with them service since then. 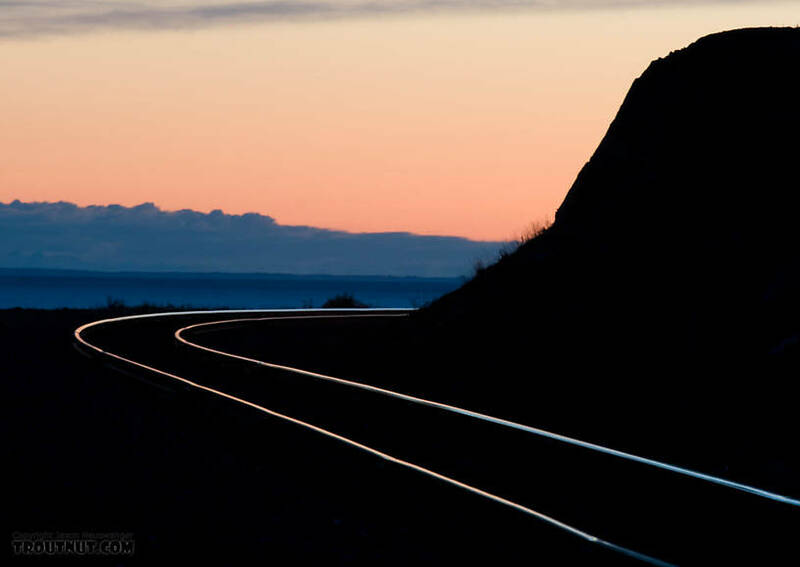 Sunset over the Alaska Railroad tracks along the Turnagain Arm of Cook Inlet, photographed on my drive back home to Fairbanks from the Kenai Peninsula. Halibut bait. The herring cut herring is the main treat, but the pieces of octopus really stay on the hook. 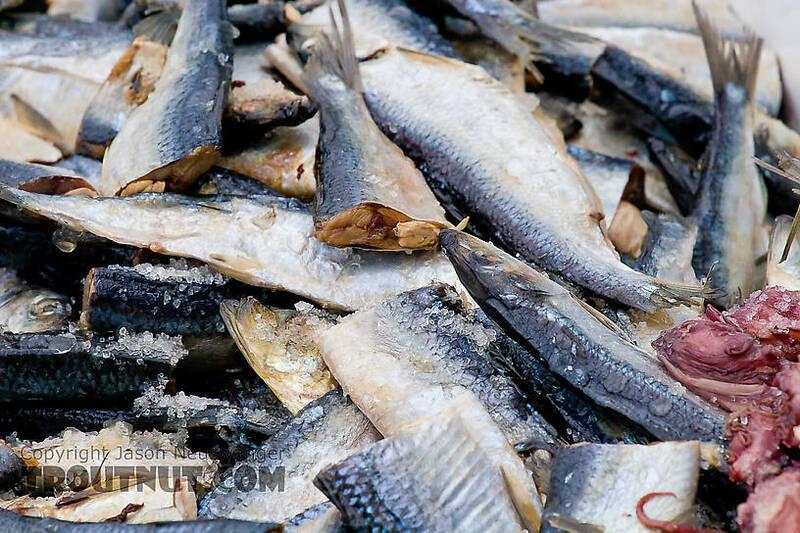 Combine them, and you'll have something down there to get the halibut to keep nibbling if it steals the herring. 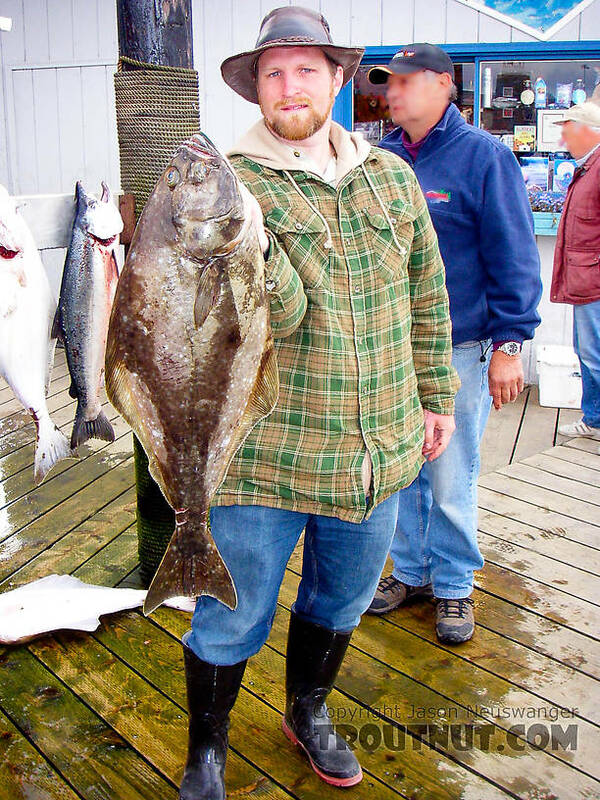 One of my first two keeper halibut... incredibly tasty fish! Heading out on my first halibut-fishing trip. The gear is a little heavier than what I'm used to.